The similarities between Islam, Christianity and Judaism are often discussed but what is it that sets Islam apart from Christianity? O people of the Scripture (Jews and Christians)! Do not exceed the limits in your religion, nor say of Allah aught but the truth. The Messiah 'Iesa (Jesus), son of Maryam (Mary), was (no more than) a Messenger of Allah and His Word, ("Be!" - and he was) which He bestowed on Maryam (Mary) and a spirit (Ruh) created by Him; so believe in Allah and His Messengers. Say not: "Three (trinity)!" Cease! (it is) better for you. For Allâh is (the only) One Ilâh (God), Glory be to Him (Far Exalted is He) above having a son. To Him belongs all that is in the heavens and all that is in the earth. 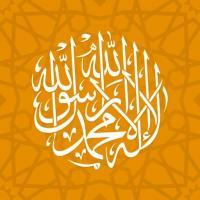 And Allah is All ­Sufficient as a Disposer of affairs. Some people respect the Islamic belief but consider it unnecessary to become 'Muslims.' This lecture was given to an audience of Muslims and Christians (both Catholics and Protestants) in predominantly Christian, N. Ireland. Belfast is a city which was wrecked by paramilitary war for decades in which Catholics and Protestants have often considered each others version of Christianity as something foreign, the religion of Islam is something distant and unknown to many in the province, this lecture was given to promote dialogue, discussion and eventual agreement that Allah (Almighty God) is to be worshiped alone, furthermore that the call of Moses, Jesus and all other prophets of this One, True God was 'one call', a monotheistic call which is the basis of Islam. Muhammad, the Muslim substitue for Jesus (in divinity)?